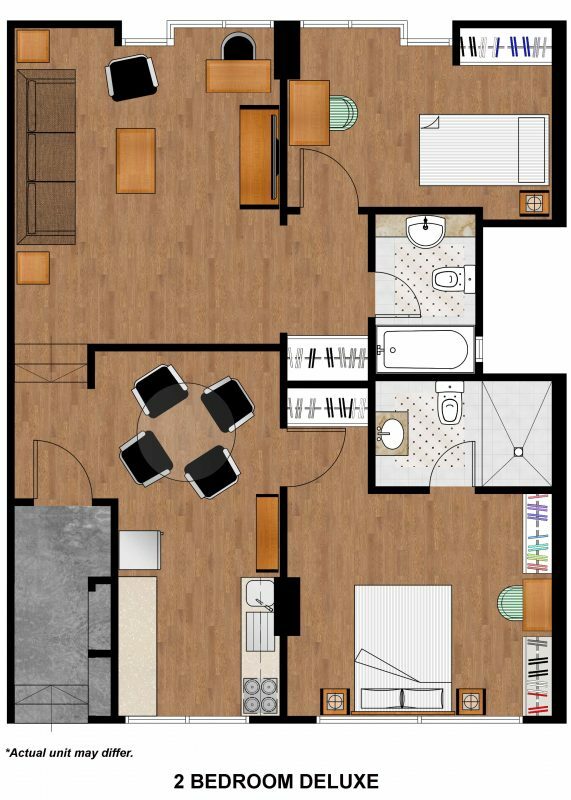 The 2-Bedroom Deluxe offers amenities such as a fully equipped kitchen, modern home entertainment system, complimentary Internet access, and daily housekeeping services. Find every convenience and comfort within the residence. With a queen-size bed and single bed, the apartment can comfortably accommodate three guests, while a fourth guest can rent an additional bed. A living and dining area provides ample space to rest and relax or entertain.